January 2017 Fitness Challenge – Squats! It’s that time of year! Resolutions to get fit, build muscles, lose those extra pounds, and start living a healthier lifestyle are abounding. For those of you who like specific monthly challenges to improve certain movements or tone certain areas (you know who you are! ), January is the perfect time to start squatting. Now, before you begin any exercise program, try any challenge, or embark on any fitness journey, talk with your doctor. Make sure you’re healthy enough to start. Make sure he gives you the okay. If he doesn’t or you don’t ask, don’t start! I want you healthy and well and alive. Since I’m not a doctor (nor do I play one on tv) and I’m not your trainer (although I can be! ), I have no clue if this is appropriate for you. Please, for the love, just check with your doctor before doing this challenge. Form is always, always, always more important than reps. Proper form helps reduce the risk of injury and no one has time for injuries. Break up the squats throughout the day. You absolutely do not have to do all of the squats at one time. Break it down into 5 or 10 at a time and space them throughout the day. When you’re squatting, be sure to protect your knees and lower back. That means that you should never squat to the point of pain. Ever. Your knees should track over your feet. Your legs should be slightly wider than your shoulders and it’s okay if your feet are at a 45 degree angle. There’s a lot of debate over whether the knees should go beyond the toes when squatting – even with NASM. The key? Protect your back, protect your knees, and if you feel pain – STOP. Feel free to start at a lower rep count. If you’re a beginner, start at 5 per day and work your way up. Trust me, you are still going to see results and feel it in your quads and glutes. Keep your core strong and tight. That’s about it! I hope you’ll join me in January! Watch for reminders on Instagram and Facebook! I can’t wait to celebrate your success! 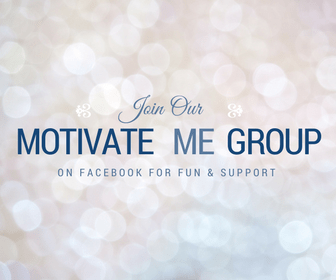 Leave a comment letting me know if you’re in! You can do it!